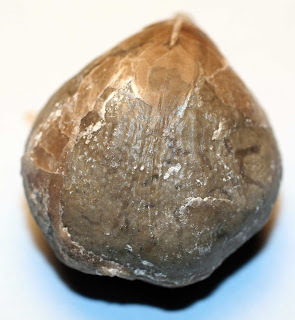 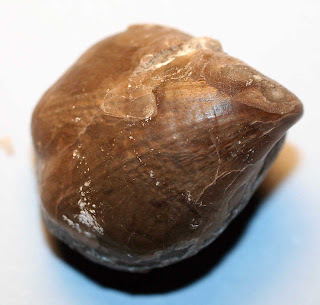 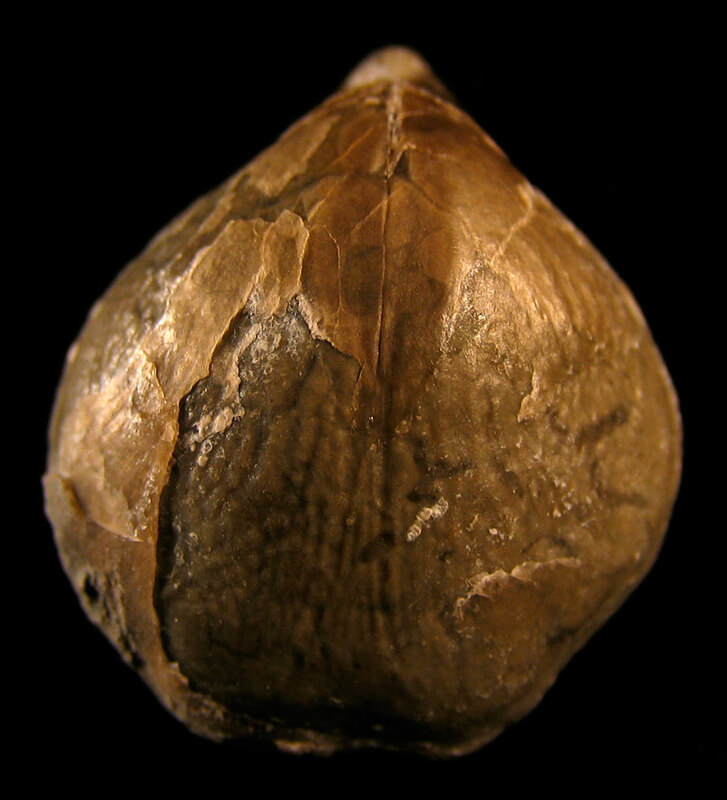 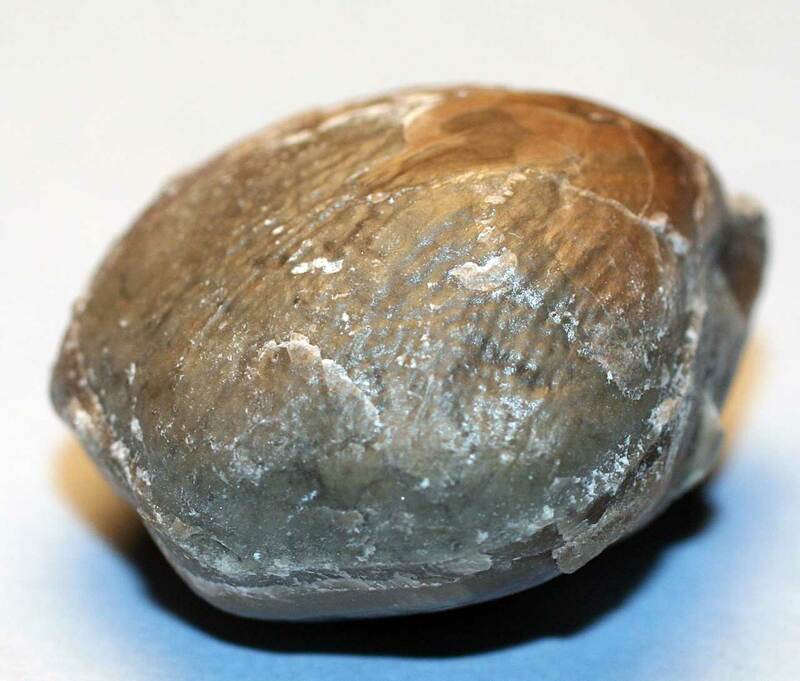 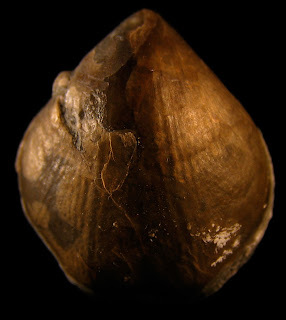 This brachiopod is a fresh extraction from the Waldron Shale after over 400,000,000 years of entombment. An intriguing fossil because it has part of its shell still left but it such a thin layer that one can see the inside texture. 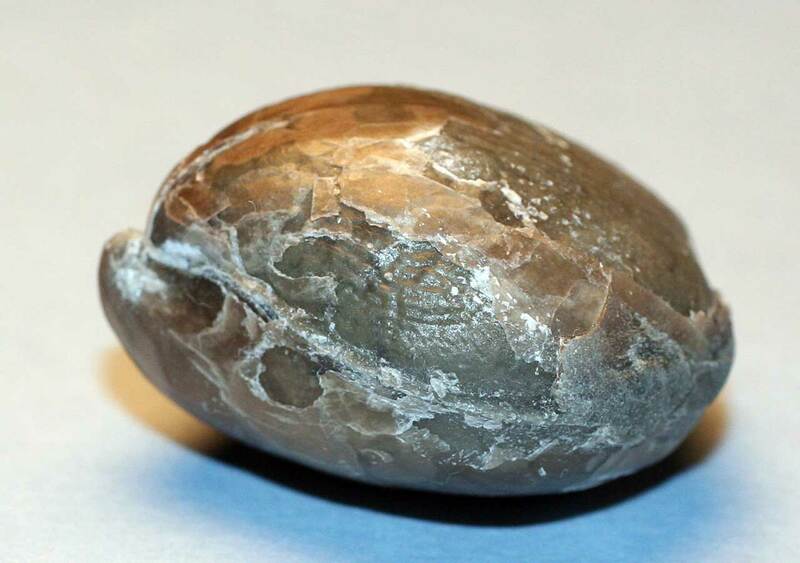 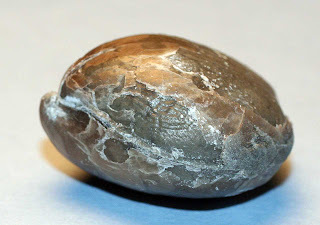 The fossil measures at 2.5 cm length, 2.2 cm width, 1.5 cm height and 10.7 g weight. 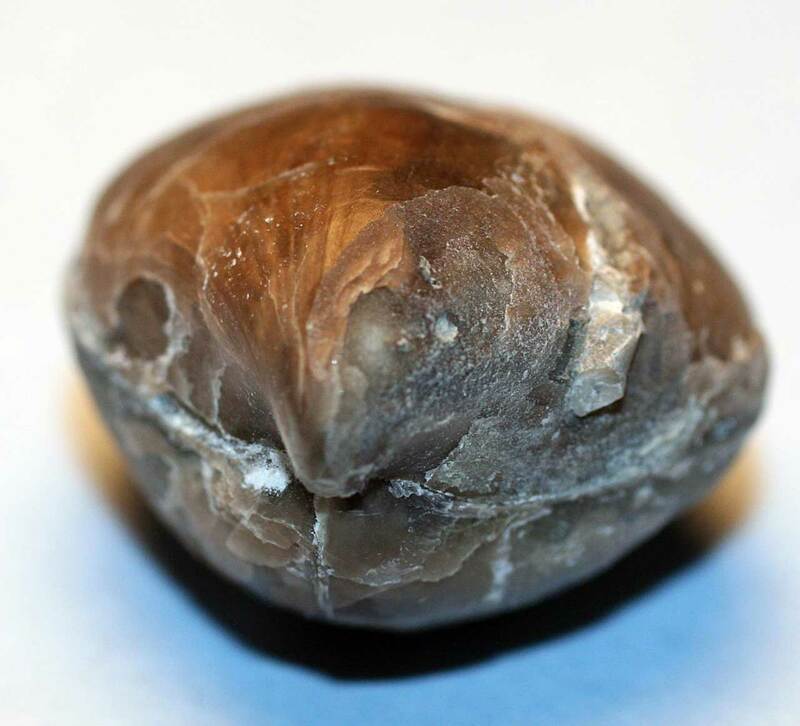 Creature existed in the Middle Silurian Period and was found in Clark County, Indiana. It appears to be of the genus Whitfieldella.